Val d’Isère resort is currently undertaking a new quality process with the aim of offering their clientele 100% satisfaction. Our goal? To offer a high quality service so you may enjoy every aspect of your stay to the full. A warm welcome awaits you on arrival at the the Tourist Office front desk. The dynamic, welcoming staff have been fully trained to offer complete customer satisfaction. – Each and every client is greeted on arrival with eye contact or a welcome phrase. The 2 digital screens, visible from the outside, help actively inform visitors as they pass by. – Personalized advice is given according to the client’s expectations. Contact with our foreign visitors is made easier by having a trilingual staff and by offering brochures in different languages. – A guarantee that documentation is sent as quickly as possible. – Information is updated clearly, reliably and directly, and revised daily. – Alternative solutions will be found and offered to our clients in case of cancellation, disruption or postponement of an event. – Visitor satisfaction is measured by providing them with satisfaction survey and comments and suggestion sheets, which are processed and analyzed. – Constant improvement of the quality of our welcome, services and/or products, and customer services on offer. As part of this initiative, Val d’Isère has commenced the procedure to obtain the Tourism Quality Mark during 2017. This is the genuine stamp of approval of the State concerning the quality of services offered to our visitors who are therefore assured of the best service when organizing their holiday. – Offer easy access to the reception and information desk.- Facilitate your procedures. – Offer you a place to sit down. – Offer local tourist information free of charge. – Offer free wifi access. – Display and publish its opening hours in at least two foreign languages. – Answer correspondence all year round. – Ensure a permanent reception service with staff speaking at least two foreign languages. – Ensure the distribution of tourist maps and guides in paper form. – Offer access to its trilingual website. – Display emergency phone numbers outside. 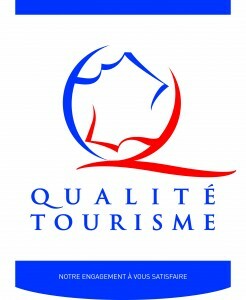 – Guarantee that the local tourist information is reliable and up to date.